After many years, I’ve decided to blog again. Thinking about things has been left to digitally decompose and SB-129 is born. 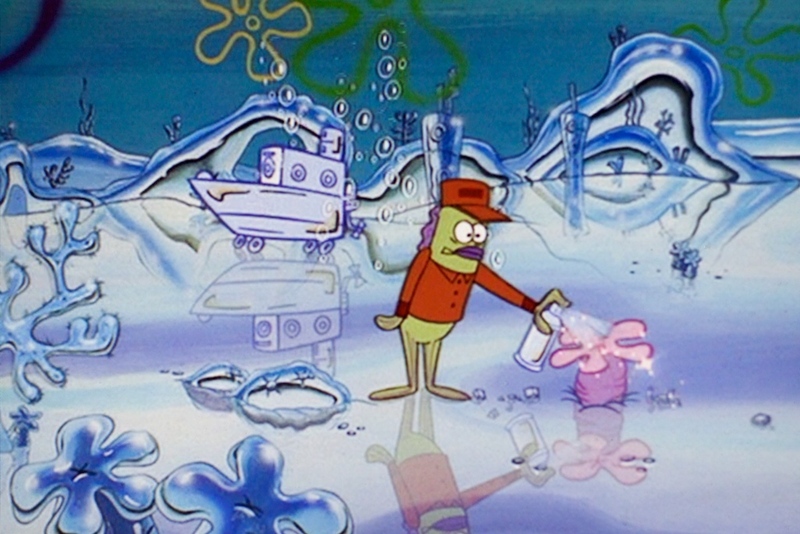 The title of the blog is from a brilliant episode of SpongBob SquarePants: SB-129 follows Squidward’s travels through time – he’s accidentally frozen and wakes 2000 years in the future. Here he’s presented with a reality he is incapable of comprehending, he falls into a momentary FUTURE SHOCK. Even the ocean floor is chrome. However, what we see is a future that needs constant maintenance; although the future is shiny and consistent, it’s only a thin veneer of the future. At any given moment, chaos can break through and ruin the pristine vision. It’s the idea of constant maintenance that I love, not only is foresight a process of projection, invention, ideology and imagination it is also one of logistics, support and backroom services. 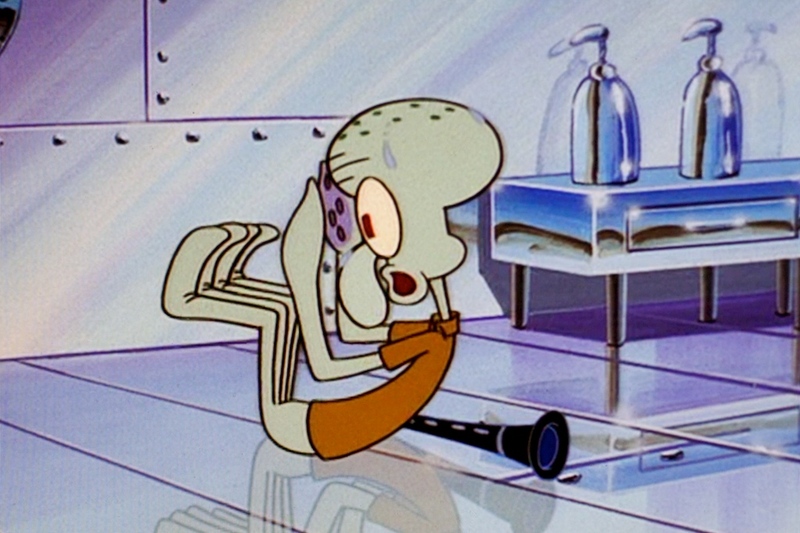 Beyond the obvious critique of cinematic and technological futures being presented in a material form of perfection, SpongeBob engages in the tools of maintenance and adaptation. 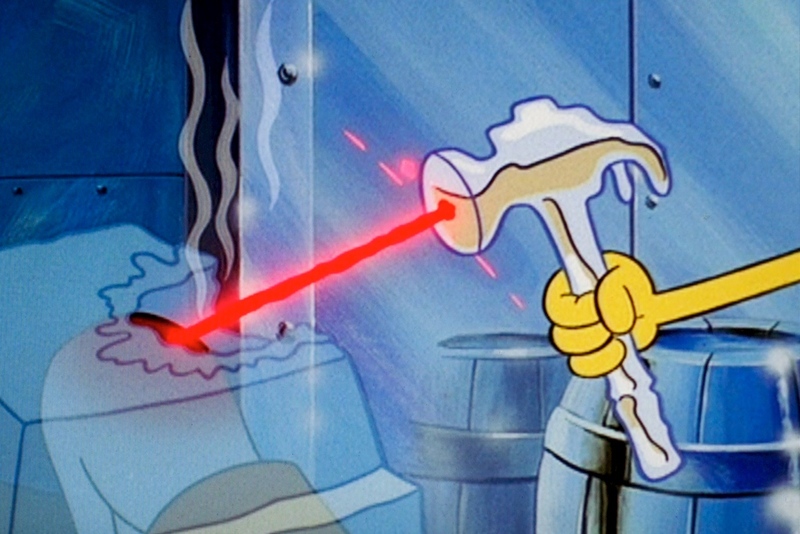 There’s a wonderful moment when SpongeTron gets out a hammer to break some ice, however it’s a laser in hammer form. A tool that holds onto the form of the past, almost a skeuomorphism of future things. I haven’t got a clear remit for the blog, but it’ll be about things that I’m fascinated and possibly annoyed with. Things that need more than 144 characters to explain, explore and discuss. Most likely all things design, technology, speculative production, photography, cinema etc… you know, the usual stuff.